We System Operator’s (SysOp’s) as we were called back in the old days are the early online communication pioneers of the era. 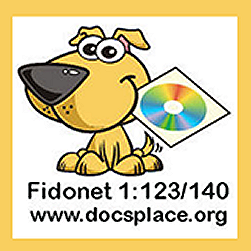 Using personal computers and dial up modems, we relayed early Echomail worldwide via the Fidonet Network, that still exists today. Doc’s Place BBS is web browser accessible. Offers web based qwk mail, and language translation. Or Telnet in on port 26 for a simulated dial up terminal experience. This website is a treasure trove of early communications history. Have a look around using our navigation menu above. To learn more about FidoSysop and this blog click here.